Coast Spas Manufacturing has received ISO 9001: 2015 Quality Management Systems (QMS) certification through SGS Systems, a leading certification company. 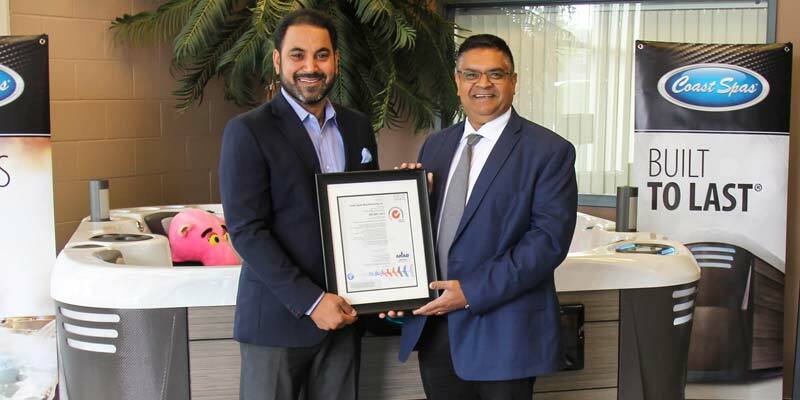 Coast Spas Manufacturing, a maker of hot tubs and swim spas in Langley, B.C., has received ISO 9001: 2015 Quality Management Systems (QMS) certification through SGS Systems, an inspection, verification, testing, and certification company based in Mississauga, Ont. Coast Spas is amongst the elite hot tub manufacturers to earn ISO 9001: 2015 certification. The company first achieved ISO 9001 in December of 2000. The company has invested more than a year preparing for the ISO 9001:2015 QMS registration, as this process required pre-audit examinations, complete design documentation, development and manufacturing processes along with support programs, and making sure internal audit processes were predictable and consistent. Coast Spas manufactures a complete range of hot tubs and swim spas for distribution to a global network of independent dealers. With its multiple brands and retail partnerships in 43 countries, the company has been bringing innovative products to the market since 1997.